Don't have one, never have, never will. I am a friendly pony, and I hope that I don't annoy anyone, but I'm always up for making new friends! I'm a stallion unicorn, with the cutie mark of a wooden pole with 3 big polymer insulators that hold 3 phase 115 kilovolt electric current in 3 heavy-duty copper wires, with an extra moderate-duty ground wire on top, with a natural electric arc in the background, symbolizing my talent in electricity. 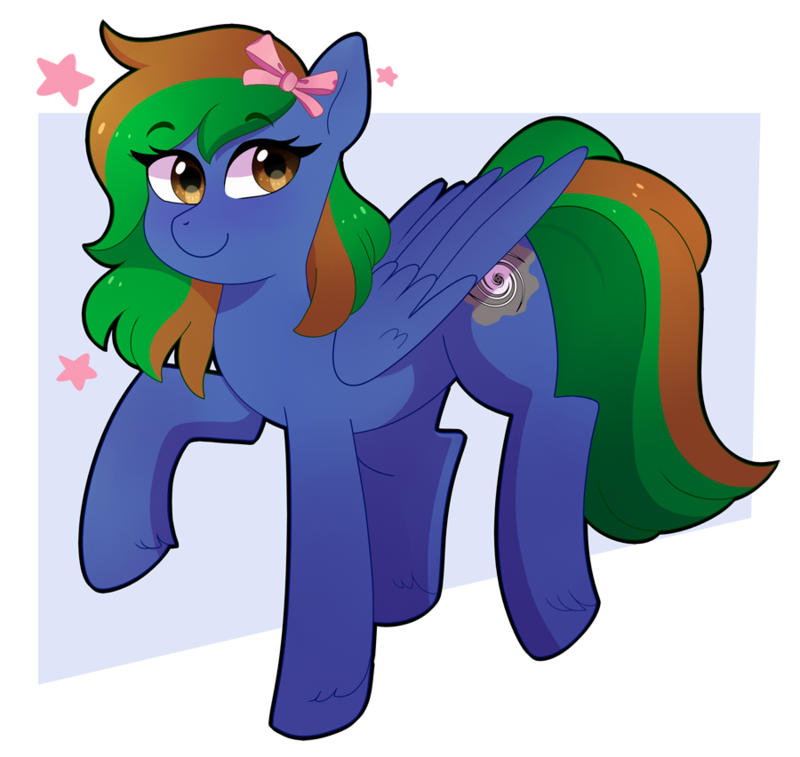 I am always a curious pony, always asking questions, and I have a few main hobbies and interests. 3) Electrical systems, in buildings or homes. 4) Toilets, plumbing, and water systems in general and sanitary systems. Here is one of my awesome good friends, @Emerald Star!!! She is awesome, cute, and awesome at art! Here is a picture of her booping my nose hehe.